Tags: chef, contest, dinner, free dinner. 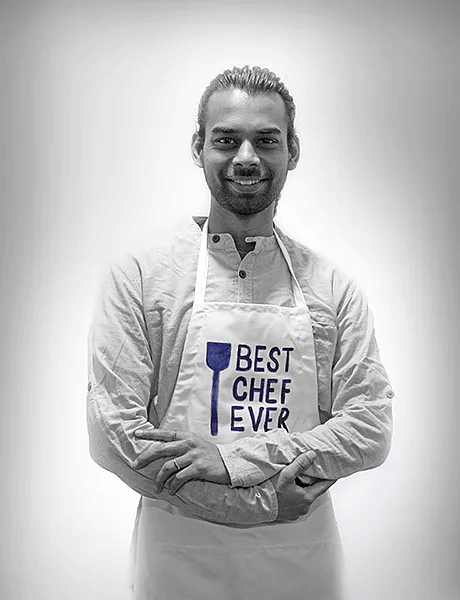 This month’s staff spotlight is on Chef Kaustubh. Kaustubh is heading up our upcoming Free Kasa Community Dinner, where we will celebrate great food and community by treating a group of lucky Kasa customers to a special meal on us! Details of how to win seats to the dinner as well as the exciting menu are below. I like to do staff spotlights to forge a deeper connection between the food you eat and the people serving and cooking for you. In an age of technology, which Kasa fully encompasses, I want to cherish the human connection even more. This is the reason we’re in the hospitality business in the first place! The current SF market is seeing a shortage of kitchen staff. It makes complete sense. The work is hard, hot, fast, relentless and frankly there are easier ways to make a living. So I sat down to ask Kaustubh why he is in the business. Of course we are absolutely thrilled that he is, but curious as to why. 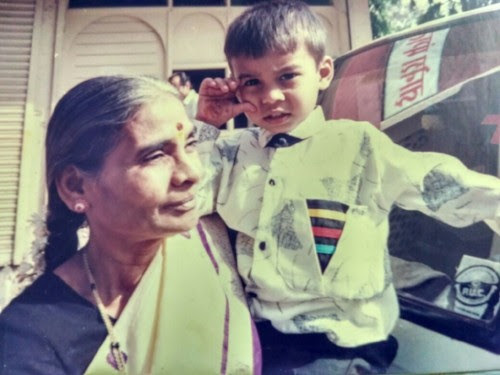 Kaustubh is born and raised in Poona, India and comes from what he calls a ‘’typical’’ Maharashtrian family. He has a Master in Geology and is actually a geologist by profession! He works with a small non-profit organization in India where he has a crucial role. The organization’s niche area of geology is groundwater and they work across India and Nepal. His work primarily engages him in field work, researching how and where water collects in porous rocks. He has created initiatives working with the Indian government to assist small communities where water is scarce. He has established management plans for villagers to manage their wells and efficiently recharge with whatever little rain water they have. This enables crucial resources like drinking and irrigation water. He conducts workshops and practical training seminars for villagers where he demystifies the science. His love for science and cooking was born from his grandmother, whom he describes as a strong smart woman and who he clearly reveres. Despite not attending school, she was able to fix vehicles, diagnose electrical problems and was a fantastic cook. Whatever free time he had, he spent with her and closely watched her cook in the kitchen. A favourite dish he recalls her making for him was a savoury pancake made with besan (chickpea flour) topped with chopped onions, seasonal vegetables and fresh homemade ghee. So how does he find himself cooking in SF? Love, obviously! 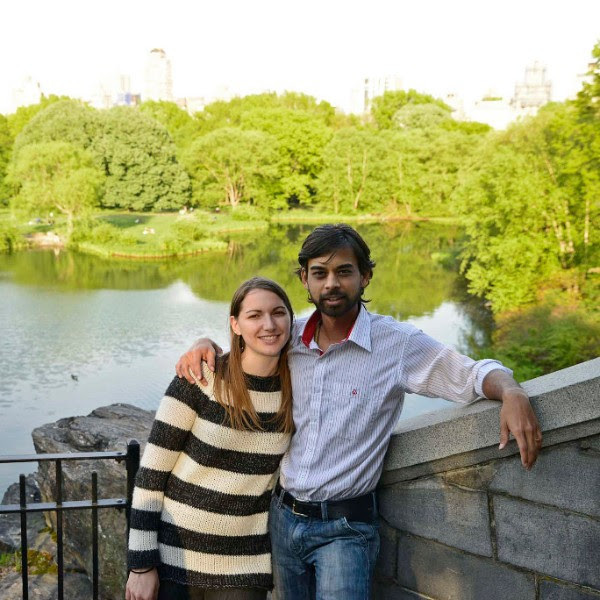 Kaustubh met Samantha (now his wife) while she was interning with the same non-profit organization in the Himalayas. They connected over shared values and love for family. Whilst Samantha finishes grad school here in SF, Kaustubh decided to use these few years to explore his passions of food and photography. They both plan on eventually settling back in India to start a family. At Kasa, we benefit from his love for the kitchen and his generous nature. We are always being spontaneously treated to cakes, biryanis, pakoras, shakes, Indian sweets, you name it! If you are one of the lucky winners of the community dinner contest, you could just experience this hospitality first hand. Thank you Kaustubh and Sam for being part of the Kasa family! I’m sure your grandmother is proud of you. So now you know a little more behind the talent serving you your staple Kasa favorites. Details are below on how to win an opportunity to join our next Community Dinner. The prize dinner will be hosted on Sunday February 25th at our Polk Street location for you and three of your guest. All entries between 1/23 – 2/11 will be randomly raffled. A winner will be announced and contacted on February 13th.